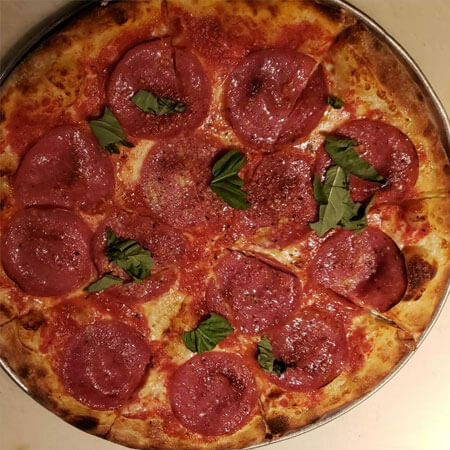 Our Italian roots are evident in the technique we use to make our pizzas, old world style, in a coal oven. The coal imparts a wonderful, unique taste and texture, and the intense heat allows it to cook in a matter of minutes! 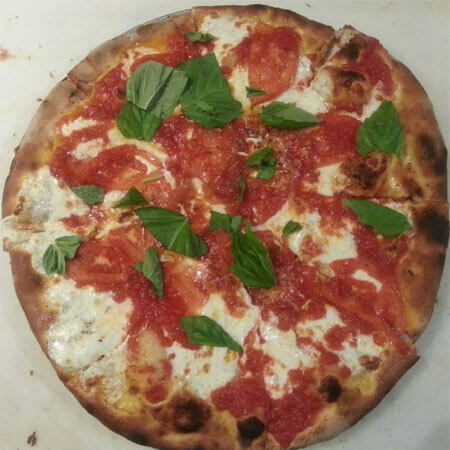 We only use the freshest ingredients, and our signature basil leaves add an incredible aroma and flavor to the pizza. Choose from our five base pizzas and add optional toppings. Tomato sauce, fresh sliced mozzarella, fresh basil, oregano. Tomato sauce,‏ olive oil, oregano and fresh basil. This pizza does not have any cheese. 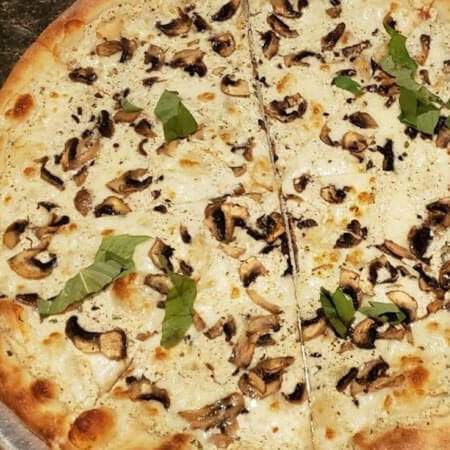 Ricotta, mozzarella and fresh basil. *White pizza with no tomato sauce. Tomato sauce, mozzarella, goat cheese, ricotta, gorgonzola, basil and oregano. Tomato sauce, homemade mozzarella, fresh sliced tomatoes, basil, oregano.